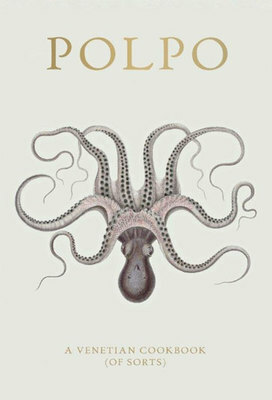 Polpo is Italian for octopus. And it also stands for great Italian food. Last night, I met a friend for a pre-theatre dinner at Polpo in Beak Street. It's right near the bottom of Carnaby Street, an understated sign over an unassuming doorway which opens into a cosy, rustic bacaro - Venetian for a humble restaurant serving simple food and local wines - brimming with charm and warmth. After being shown to our table, and making good use of the coat hooks on the way, we ordered a lovely bottle of red wine (a 2010 Rosso Piceno from Saladini) and settled in to dissect the menu. The format is a little like tapas but with bigger serves so we chose four to start and thought we'd consider other options later if needed. The mackeral tartare arrived first, fresh and piquant with its dollop of horseradish on the side, and then the goats cheese, curly kale and pine nut pizzette joined it on the table, crispy and salty, just how I like it. 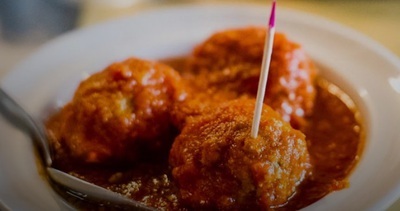 The wine kept flowing and before long our chicken involtini and the chickpea, spinach and ricotta 'meat'balls (with its amazing tomato sauce) arrived. Things were getting crowded on the table by now so we tucked in, savouring the delicious, simple flavours and enjoying the relaxed vibe. With some time still on our hands and the red wine to finish, we decided on a cheese plate to share to finish off our meal. There's a no booking policy at Polpo so we arrived at 6pm and had no problem getting a table. But by 7pm things were pretty busy and the bar area - which I could see over my friend's shoulder - was filled with patient diners. 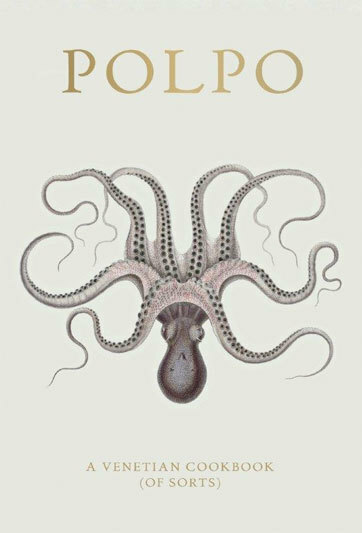 Polpo is a real find for me. I have this view of myself that says 'I don't know good eating haunts in the Soho area' (which may not be strictly true now I think about it). Our bill for two people - including wine, five 'plates' and 12.5% service - came to £74. Not overly cheap but we thought it was well-worth it. It has great food, a charming atmosphere, 'just right' service and is perfectly located whether you've been wandering through the shops of Regent and Carnaby Street nearby or you're looking for a pre-show bite to eat. So Polpo definitely makes it into my little black book of fabulous places to eat.